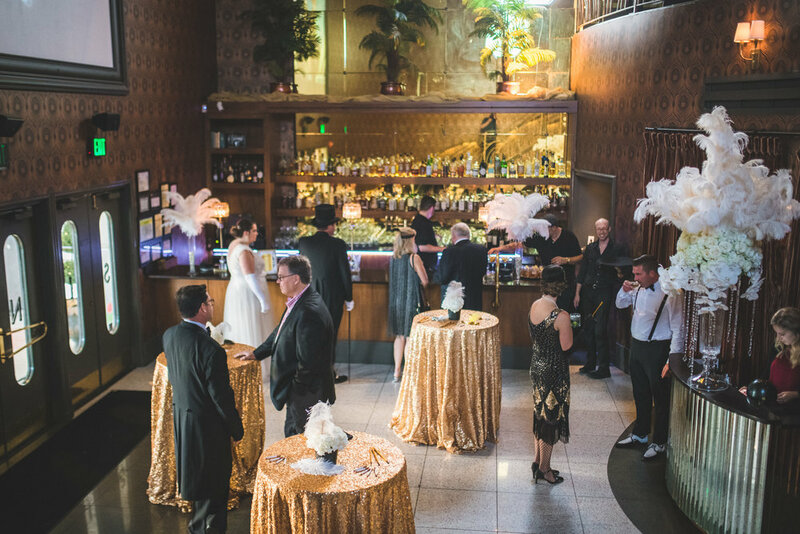 Sinema offers a variety of options for private events: seated dinners for up to 250 guests, cocktail receptions & corporate events for up to 350, tasting menus, bachelor and bachelorette parties, rehearsal dinners, weddings, and receptions. Whether you're looking for a private, intimate space for a few friends in Music City or a place to host a corporate blow out, we have the space. We have several options, including community tables, cozy seating nooks and rock-and-roll inspired lounge areas that bring a dramatic flair to your events. Enjoy creative American-inspired custom menus from the culinary team, filled with seasonal influences and inspirations. With a variety of menus & activities, from Banquet Appetizers, Family Style to Buffet, to Formal 4-Course menus and mixology classes, you'll find plenty of options to please a large group. For after hours requests, please send email for fastest response. Response time is usually within 24 hours. Seats up to 50 guests, or 60 in standing cocktail reception. Perfect for birthdays, business dinners, family gatherings, happy hours & more! Seats up to 24 guests. Adjacent to Lounge & Bar on 2nd floor of venue. Perfect for intimate dinners, business meetings, and gatherings. Seats up to 50 guests, semi-privately. Adjacent to Main Dining Room. Perfect for family gatherings, or large birthday dinners. © 2016. SINEMA Restaurant + Bar.